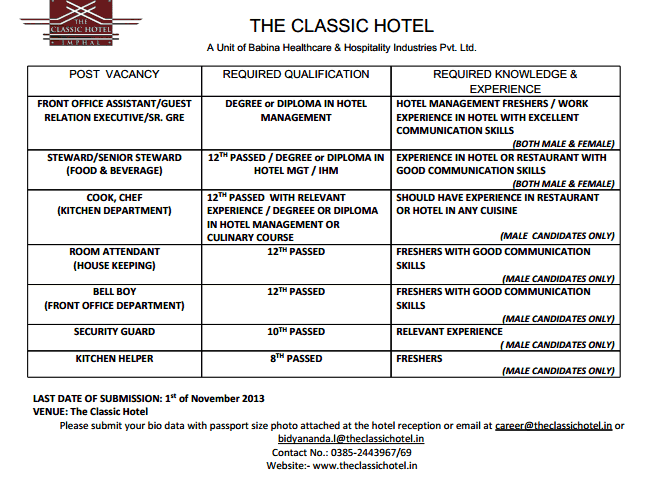 I am looking for a job and that if I’m welcome in classic hotel I would like to do my best. 12 pass presently reading BA 3rd SEM. •	Professionally qualified, goal oriented Chef with hands on experience for five star hotels & seven star luxurious cruise ships and Luxurious Super Motor private yachts as a Head Chef from past 20 years . •	Specialised in French, Italian, Mexican, Thai, Chinese, Indian & Arabic Cuisines . •	Specialised& Master in Indian Cuisine, Vegetarian or Non Veg. •	Hands on experience in kitchen setup, kitchen management and Inventory. •	Have diverse experience from five star hotels to ships, restaurants service as well as mass production for banquet events. I am simple and gentle man . I’am Binod baral. 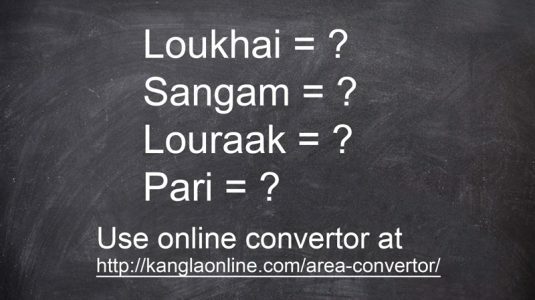 Belong from manipur. I have 5 years working experience in restaurants and bar in delhi. As a steward, sr. Steward and captain. Now I would like to work with The classic hotel imphal. If there is any vacancy for me then xontaxt me pliz. Thanks and regard Binod baral. And I did gradition from deemed university. From delhi. Ei +2 ni DTP loijare 2years exp.leijare computer operater da ei thabk amatng pamjei. I have 5+ years of experience in different domain (Mortgage, Retail, Finance & Accounting). 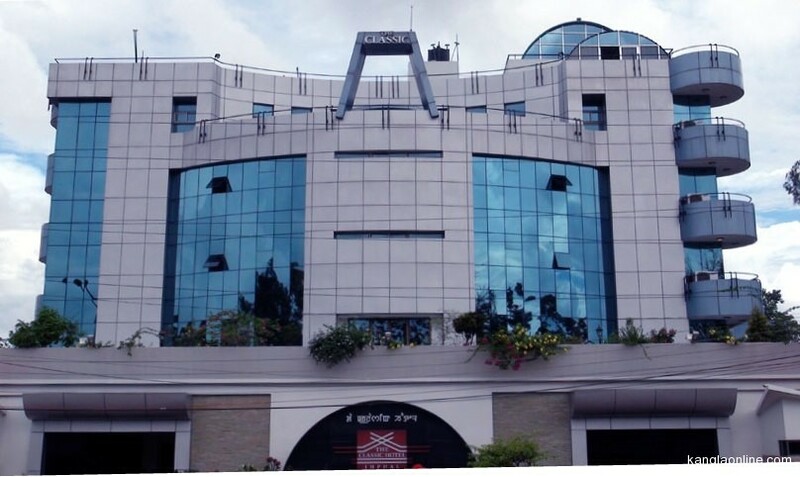 Currently I’m working in Bangalore (MNC) for Finance & Accounting process. Please let me know if there is any suitable Job for me. Ei houjit2.. kerala da star hotel da thabk toujare 3 year sujare. Ei Manipur star hotel da thabk touba pamjei.